Fallknivens F1 zytel sheath. 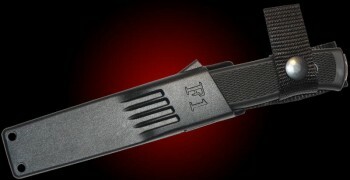 A high impact plastic sheath for the F1. A great choice for the outdoors, being resistant to water, oils, mould and chemicals, it drains well and is stable both heat and cold. Knife locks in at both finger guard and the snap ring around the handle, can be worn on the belt or suspended as a neck knife. Use the form below to order the F1 Zytel sheath only . Feel free to contact us if you have any questions about the F1 Zytel sheath only .